Son Wan Ho won his second tournament on the trot, while Li Xuerui continued to make up lost ground, as they won the singles titles at the GWANGJU Korea Masters 2018 yesterday. Men’s Singles top seed Son Wan Ho, who exhibited indifferent form all season but hit a high at the YONEX-SUNRISE Hong Kong Open recently, continued his good show as he won the World Tour Super 300 title on home soil, beating Malaysia’s Lee Zii Jia 21-16 21-11. Son had struggled in his second round against China’s Ren Pengbo and quarterfinals against Indonesia’s Ihsan Maulana Mustofa, but after he crossed those hurdles in three games, he cruised past Hong Kong’s Lee Cheuk Yiu in the semifinals and Lee Zii Jia in the final. 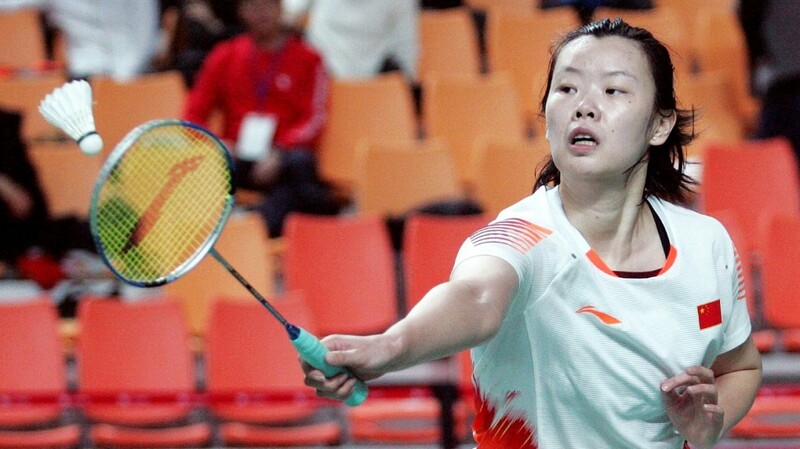 Li Xuerui (featured image), who suffered a prolonged layoff due to injury suffered at the Rio Olympics, won her second World Tour Super 300 event after the US Open in June. Li held off the upcoming Gregoria Mariska Tunjung (Indonesia) in three games in her opener. 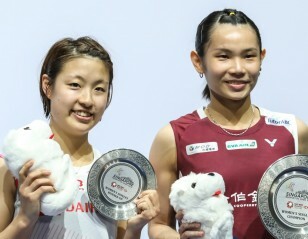 World Junior champion Goh Jin Wei gave her a hard time in the semifinals, but Li was able to overcome her 23-21 10-21 21-14. 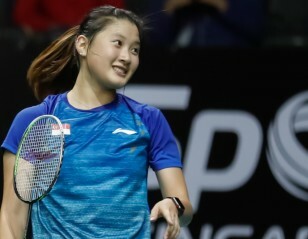 Her final opponent, Han Yue, had beaten her at the Syed Modi International the previous week, but Li was prepared for her this time and closed it out 21-10 21-18. Li was the only non-Korean titlist on the day. Choi Solgyu/Seo Seung Jae won the Men’s Doubles beating Chinese Taipei’s Po Li-Wei/Wang Chi-Lin 21-12 17-21 21-18. The big upset in Men’s Doubles was the first round loss of top seeds Fajar Alfian/Muhammad Rian Ardianto (Indonesia) to scratch pair Kim Sa Rang (Korea) and Tan Boon Heong (Malaysia) 21-13 18-21 21-12. The Korea-Malaysia pair went on to reach the semifinals, which they lost to Po Li-Wei/Wang Chi-Lin in three games. 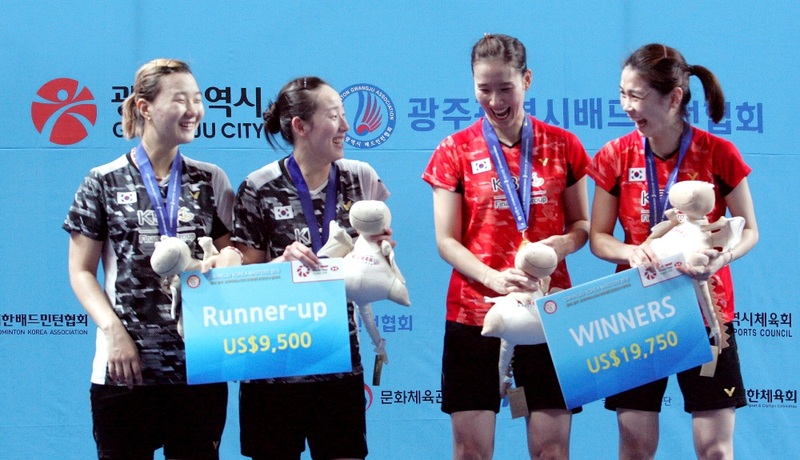 Chang Ye Na/Jung Kyung Eun won the Women’s Doubles beating compatriots Lee So Hee/Shin Seung Chan 21-14 21-17. Ko Sung Hyun/Eom Hye Won captured the Mixed Doubles crown getting the better of compatriots Choi Solgyu/Shin Seung Chan 21-12 15-21 21-18.